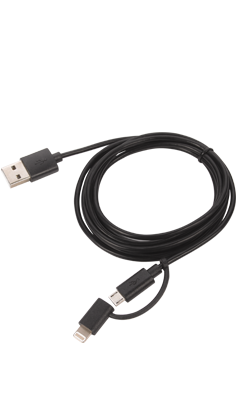 Feature: 6 Ft Micro/Lightning USB Cable. Dual Compact connector heads works with nearly all cases. 6' Apple MFI Certified 2 in 1 Lighting / Micro USB Cable.